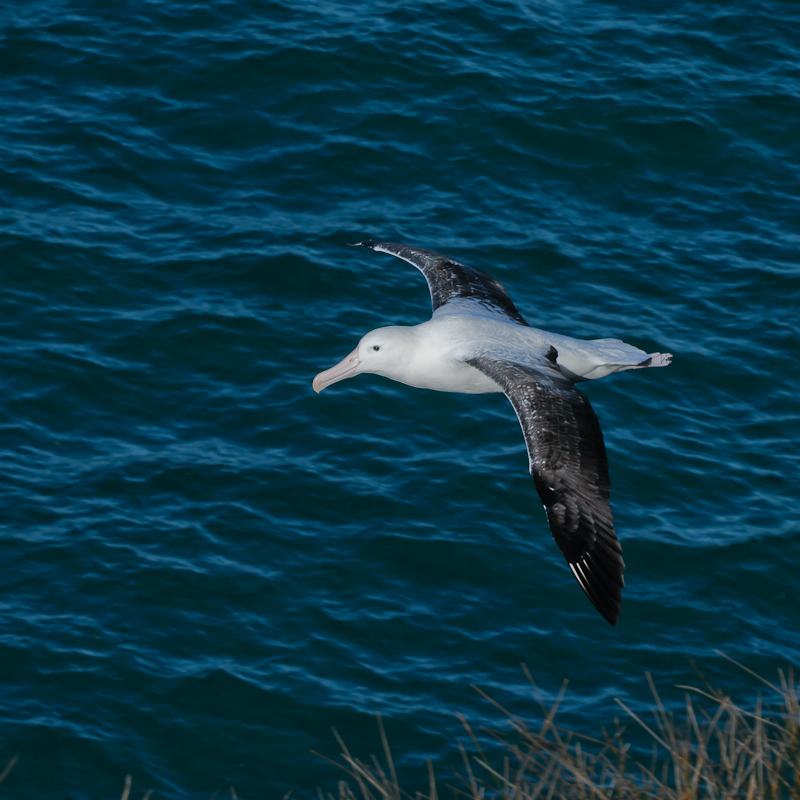 After several days heading south from Christchurch across the Canterbury Plains, we found ourselves standing on the windswept cliffs at Taiaroa Head late in the afternoon watching Royal Albatrosses soaring on the updrafts. Seeing these huge birds gliding past at eye level just a few metres away was a fantastic experience, a kind of natural air show conducted in total silence. As the light faded and the rain began to fall we drove westwards, winding along the spine of the Otago Peninsula on the Highcliffe Road, through the southern suburbs of Dunedin and onto Highway 1 as it swings towards the distant towns of Gore and Invercargill. It was dark by the time we crossed the Clutha River and turned off onto the minor roads leading to the small settlement of Kaka Point, where we were stopping for the night. In the morning, we awoke to the patter of rain on the camper van roof, and also, for the first time, a dawn chorus not dominated by the introduced European bird species. The Blackbirds and Song Thrushes which had been predominant ever since we arrived in Christchurch had at last been replaced by Tui, Bellbird and Grey Warbler. With no sign of a let up in the rain (the Catlins area is a rain forest, after all!) we unpacked our wet weather gear for the first time and drove deeper into the hills. Passing a parking area with the now familiar green and yellow Department of Conservation sign pointing to “Lake Wilkie” we thought we’d stop and take a look. Walking through the dripping forest we discovered a small, shallow lake encircled by trees. The lake was formed between sand dunes during the last ice age and is slowly filling with silt. A series of interpretation boards document the succession from Manuka scrub colonising the encroaching lake shore to the fully grown podocarps beyond. Even though the rain was falling steadily birds were calling from the trees around the lake. I managed to position my Sony PCM-D50 on a wooden beam under one of the interpretation boards so it was sheltered from the rain, and captured a few minutes of the atmosphere. 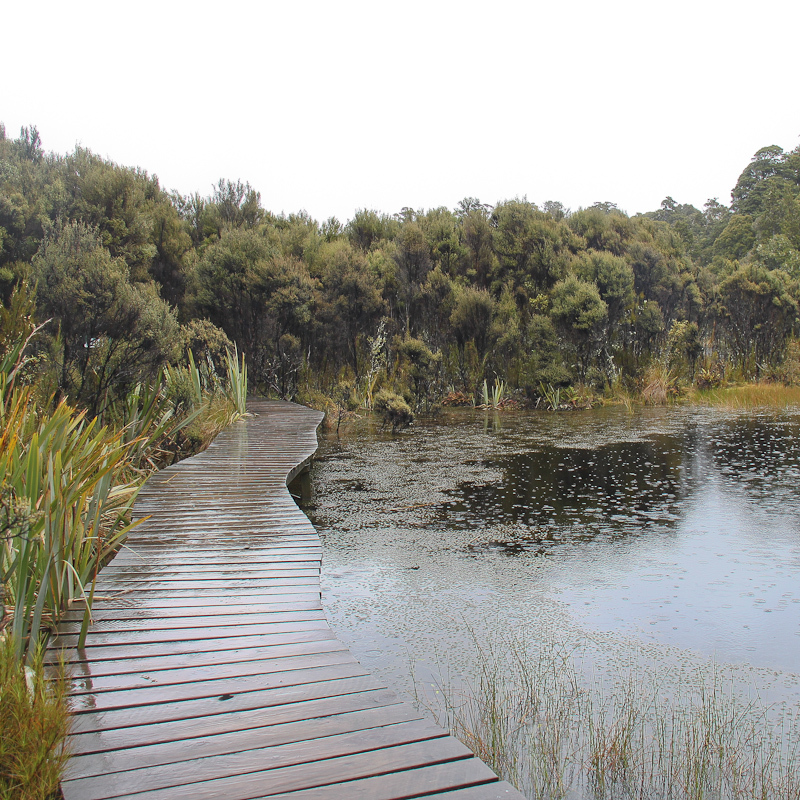 The recording is dominated by the sizzle of the rain on the lake and the trickling sound of water passing under the boardwalk but the occasional haunting notes of the Tui can be heard in the background.